The team at Naz marketing prides itself on writing unique, entirely original, informed SEO content. There is a plethora of available writing services that provide unoriginal content, or content that does not accurately represent product; this can cause quite an impasse in business, as a customer realizes that the content reflecting the product is not accurate. Many potential customers will often be turned off and seek an alternative. At Naz marketing there are literally dozens of educated, informed writers on the topics at hand. It's possible that a customer may want to sift through various styles of writing, by viewing samples; perhaps there is a specific technique conducive to his or her sales needs; a variety of talented writers are eagerly waiting for the opportunity to sell your product. By viewing samples up-front, you can accurately choose the best option. Allow talented writers that have effectively promoted hundreds of products, and experts who have pitched their ideas, in the most fluctuating environments, to communicate the product's essence; and target its proper audience. 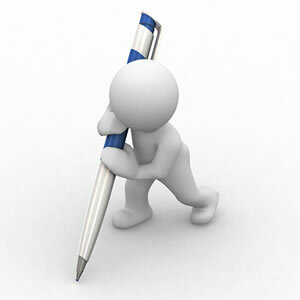 There are no obligations while searching for the perfect writing package that suits your needs. You may want to access other successful websites and copy their writers' approaches. Taking on an online business requires having many irons in the fire at once; therefore, it is nearly impossible to put the pieces together by yourself, and the most successful online entrepreneurs readily sought help when needed. Anything from catchy phrases, fliers, brochures, and banners to simple slogans, Naz Marketing has it covered. Moreover, content writers often will work hand-in hand with technology experts, so that seamlessly woven product is promoted, and a cohesive product is thereby achieved. Let's be realistic: the most effective means of marketing these days is in the careful implementation of articles and texts-on websites, blogs, ads, etc. Effective articles will connect product to the informational link chain and afford it the opportunity for success. We will not use redundant SEO material; specifically, 1-1.5% keyword ratio seems to support quality, meaningful writing. By generating unique content, you will find your business slowly climbing the ranks, of the elite engines, and as a result, high ranking will occur, thereby naming you an expert in your field or business. Another way to ensure future success is to create a niche for your business: typically a series of blogs that specify the products while offering something else entirely, so that your site stands-out, so that it offers what the others do not.